So, my kids have been out of school since December 4th. Have I mentioned that yet? Like 4000 times? In an effort to prevent fighting injuries, we’ve done quite a bit of movie watching. In no particular order, here are our top 4 holiday movies this year. Prancer. My mom owns this on VHS and my kids liked it so much we ordered our own copy. Amazon has the DVD for about $7. Pee Wee’s Playhouse Christmas Special. Here’s the part where I admit to setting my alarm Saturday mornings as a teen so my mom and I could watch Pee Wee’s Playhouse together. Pee Wee KILLS me. The humor level on this one is right up Keller and Campbell’s alley. And they’ve been obsessed with yellow snow ever since. Elf. Keller wanted to be Buddy the Elf for Halloween a couple years back. We love this movie. I think we even have 2 copies…one for the house and one for the van. 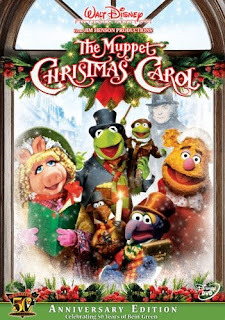 And possibly the best Christmas movie ever….The Muppet Christmas Carol. If you’ve never seen this, you really need to find it and watch it. NOW. What are your holiday must see movies? 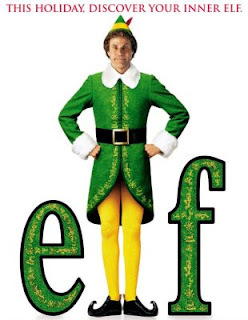 we also like ELF. my kids like Mr Kreuger's Christmas, but it only buys me a 1/2 hour. Note: Need longer Jesus related Christmas movies. 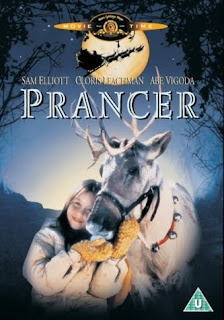 I remember watching Prancer and loving it! Cute movie! Love Pee Wee; I too used to wath his Saturday morning show. I like Elf and the Muppets. Our can't miss movie is The Christmas Story. It's a tradition to tune the TV to TBS and leave it on for the 24 hour marathon of this movie. Another favorite (although not a movie) The Grinch (the cartoon version). I agree that thre needs to be a good quality movie about the meaning of CHRISTmas for children. Thanks for the reviews! Off to Netflix to add Muppets and Pee Wee. Elf is the most quoted movie at our house. LOVE IT! All that you mentioned are definitely winners. Max watched It's A Wonderful Life for the first time this year and was entranced. He really got into the story. I was surprised. Merry Christmas! We love Polar Express! We also love The Christmas Story, National Lampoon's Christmas Vacation (for hubbie and me). I love Miracle on 34th Street and It's a Wonderful Life. Cannot forget the Charlie Brown Christmas Special!! Young Pioneers Christmas(old made in the 70's) Could not even get untill this year on Amazon someone had scared up some old copies sitting in a warehouse only comes on DVD)If you liked little house or the idea of Plain old fashioned Christmas this is the one for you) Stron message of neighbors helping neighbors and becoming more than just friends but family……The Christmas movie from the Tales from Avonlea series is great too, but you have to have watched the whole series to "get it" Little girls most I know Love Love Love that series..Well worth the price tag and totally Curch going people worthy……Can you tell by my taste just call me Prarie Girl, although I am more of a Victorian girl really. I LOVE Muppet Christmas Carol!! I also love Mickey's Christmas Carol. But the all-time favorite of our family is National Lampoon's Christmas Vacation. We've just got that kind of humor around here. My son is 4 and so far his favorites are National Lampoons Christmas Vacation, Prancer and The Grinch (the original cartoon version). I really want to rent Home Alone for him, as I don't own it and he really likes all the physical comedy in Christmas Vacation. Love Christmas movies!! I've seen the iCarly and Drake & Josh Christmas episodes more times than I can count, though! It's maybe my all-time favorite. And "The Christmas Story" is always a great one! Totally on board with Pee Wee's Playhouse. I, as well, spent every Saturday morning watching his TV show. Totally my type of humor. BTW – love the fortune cookies! 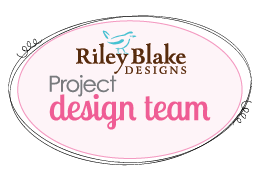 we love ELF, polar express, muppet family christmas, national lampoons christmas vacation, the christmas story and the original frosty the snowman and rudolph. i have never seen the peewee one though. remember how we werent allowed to watch peewee as kids because my dad thinks hes a pervert? "Emmet Otter's Jug Band Christmas". It is our family tradition to watch it. It used to come on HBO every year, now we have the DVD. Santa Clause 2 and 3. Elf, Muppet Christmas, the old classics (It's a Wonderful Life, etc. ), the old claymation Rudolph & Frosty, Annabelle's Wish and Mickey's Christmas Carol (and the other Mickey's Christmas DVD's). For teaching about Christ, you can't beat the movie The Nativity Story. It's awesome! Probably age 8 and up. And a King is Born by Living Scriptures. We, too, own the Pee Wee special and my kids can pretty much quote the whole thing. My last post w/ the screaming contest? it started when I said something about "year"–word of the day? yes. Also, Muppet Christmas Carol = grin on my face from start to finish. But only on DVD. The VHS version has the LAME LAME LAME song by Belle, that the DVD was wise enough to cut. My son has to watch Polar Express and the once upon and twice upon a Christmas form Mickey Mouse, as for me I love the Santa Clause movies and refuse to buy them so that I can watch them just this time of year. I also love A Christmas Story.